The Bayerisches Staatsballett is the first Western European company to dance Yuri Grigorovich’s Spartacus, which he created in 1968 for the Bolshoi Ballet. It has become the trademark Soviet ballet. The premiere in Munich was part of a concept to present productions that have been milestones in ballet history. 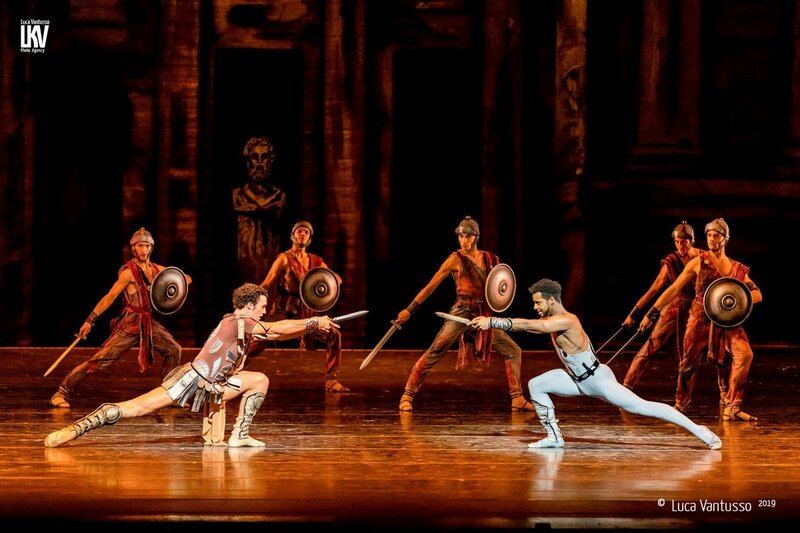 The mini-run (other performances follow in May) saw Sergei Polunin as Spartacus on the opening night (25 March) and Vladimir Shklyarov in another cast. 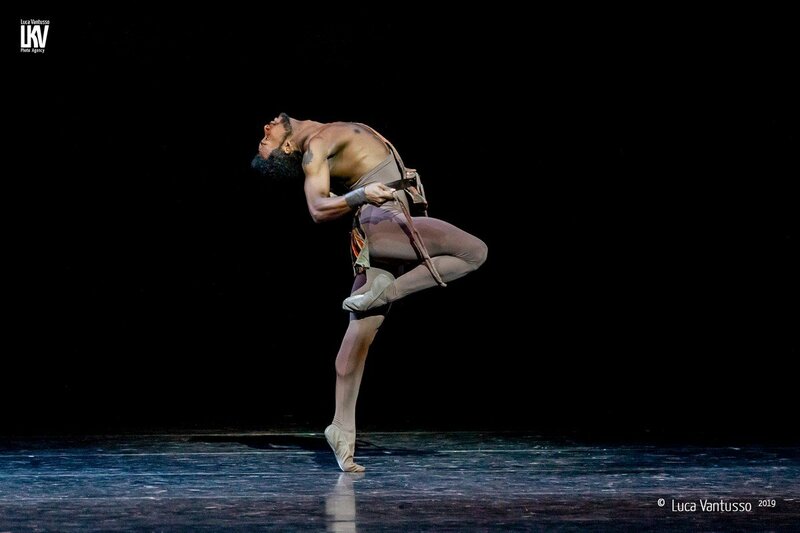 Other performances were danced by the exciting Cuban dancer Osiel Gouneo who joined the Bayerisches Staatsballett as a principal dancer from the beginning of the 2016/17 season. 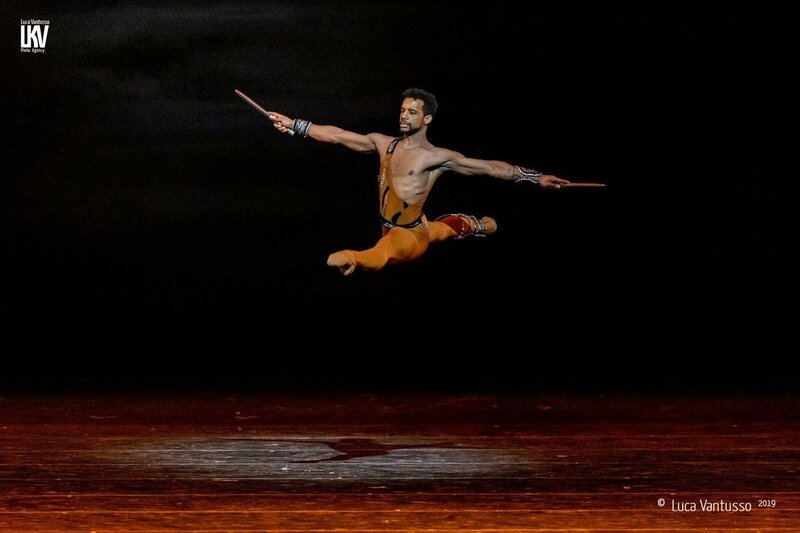 Italian photographer Luca Vantusso went to capture Gouneo’s 29 March performance where Crassus was danced by Emilio Pavan, Phrygia was Ksenia Ryzhkova, Aegina was Prisca Zeisel, and the Gladiator was played by Javier Amo.